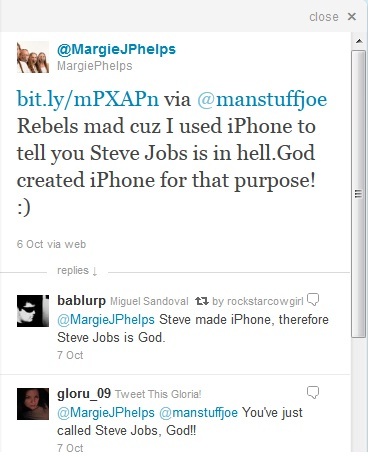 The tweet calling out Steve Jobs’ lack of religious faith, ironically, came from Margie Phelps’ iPhone. They embraced the technology of the man to condemn him. If you are not aware of Westboro Church, then according to Wikipedia “The Westboro Baptist Church (WBC) is an independent Baptist church known for its extreme stance against homosexuality and its protest activities, which include picketing funerals…“. 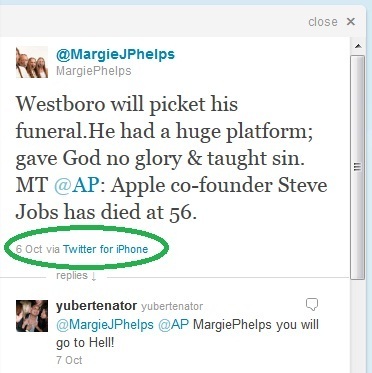 The church is headed by Fred Phelps and On October 6, 2011, Fred Phelps’ daughter, Margie, announced via her Twitter account that the church would be picketing Apple Inc. founder Steve Jobs’ funeral. Since Margie used iPhone to tweet it created a wave of criticism and Margie responded by tweeting “Rebels mad cuz I used iPhone to tell you Steve Jobs is in hell.God created iPhone for that purpose! 🙂“. Steve Jobs Changed Our Lives in so many ways and becomes so wonderful. What would the world be like if Steve Jobs were never born? Steve Jobs we salute you! 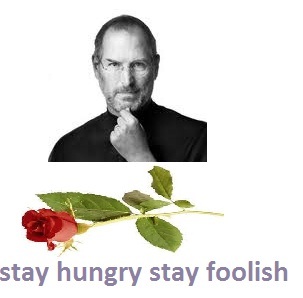 Steve Jobs: How to live before you die – Stanford University commencement speech. During the Stanford University commencement speech, Steve Jobs, chief executive officer and co-founder of Apple Computer and of Pixar Animation Studios, urged graduates to pursue their dreams and see the opportunities in life’s setbacks — including death itself — at the university’s 114th Commencement on June 12, 2005.